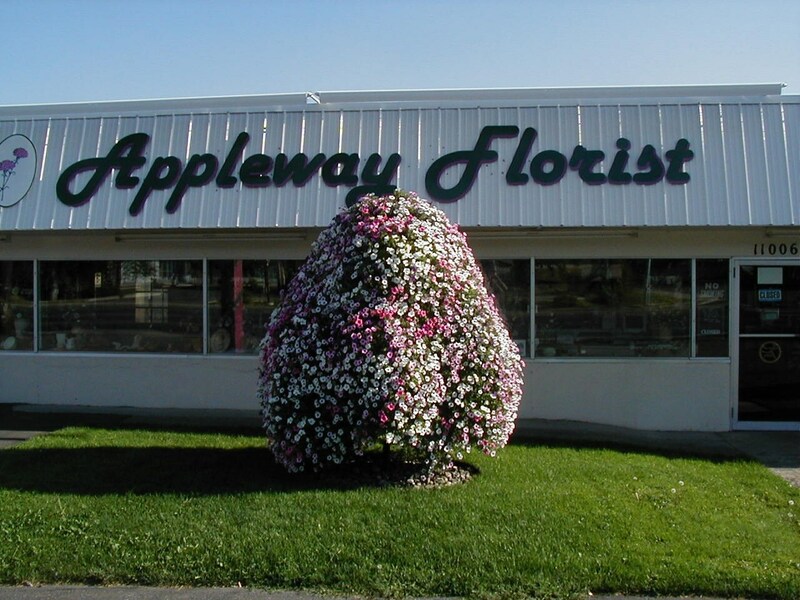 Established and Family owned since 1952, let Appleway Florist and Greenhouses be your florist in the Spokane Washington area. Specializing in fresh flower bouquets, basket gardens, custom silks, and sympathy arrangements, Appleway has over 30,000 square feet of greenhouses growing many varieties of hanging baskets and bedding plants. With experienced designers on staff at any time, you can be sure your selection is given the professional attention it deserves. Also choose from our large selection of candles, plush animals, balloons, candy, fruit items and gift items. At Appleway, your satisfaction is guaranteed 100%.